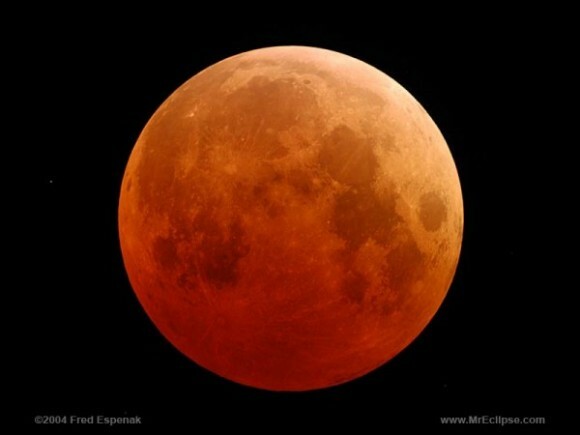 Did you see the lunar eclipse several Sundays ago? It began around 7:45 and didn’t finish until after 9. As I watched it periodically, I noticed how much the moon was glowing. Of course my nerdy kids were quick to correct me that it was actually the sun reflecting off the moon to make it shine. Slowly but steadily, the earth began to cast its shadow in the moon, creeping in from the side until the moon was nothing but a sliver of light and then suddenly all of the reflecting sunlight was gone. We could still see the shape of the moon but it was so darkly shadowed that it looked reddish brown almost dingy. But after a while the shadow started to recede. Inch by inch, it seemed to move so slowly. Finally, after what seemed like a slow moving glacier, the shadow was gone from the moon completely and it shone brightly again. How are we much like the moon? We don’t shine on our own. We simply reflect the bright light of the Son. When we do, we can light up the darkness! But there are times in our lives when bad habits and wrong choices start to come over us. It is more difficult to shine Christ’s light when sin crowds into our life. When it becomes too much for our souls, sin came make our light extinguish and our soul feel dark and dingy, but that is when we need Christ’s light most of all. He wants to forgive us and help us change our ways. His light pushes out the darkness and allows us to shine again. This transformation can feel slow when our lives feel eclipsed, but the Son does shine through to help us light the world for others.